Orcas, Table Runners & Napkins, Oh My! 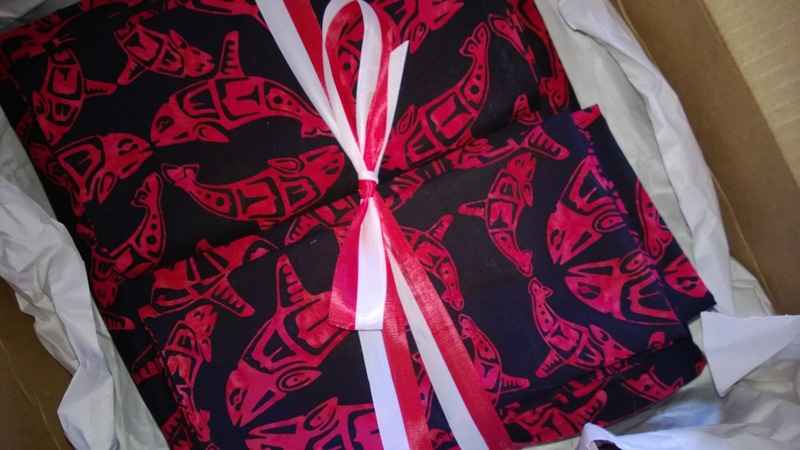 I got the table runner & napkins made for my mother-in-law, who found this amazing fabric in Ketchikan. I didn't have quite enough for 12 napkins (the Roommate's parents love to entertain!) but found some more fabric at this great online quilt shop, Rushin' Tailor, located in Skagway. Their prices are great, and the shipment only took 4 days; I would totally order from them again. And don't worry...I ordered plenty to use on another Roommate Western shirt project! Here is the package all ready to go (it shipped out this morning, just before the blizzard hit). 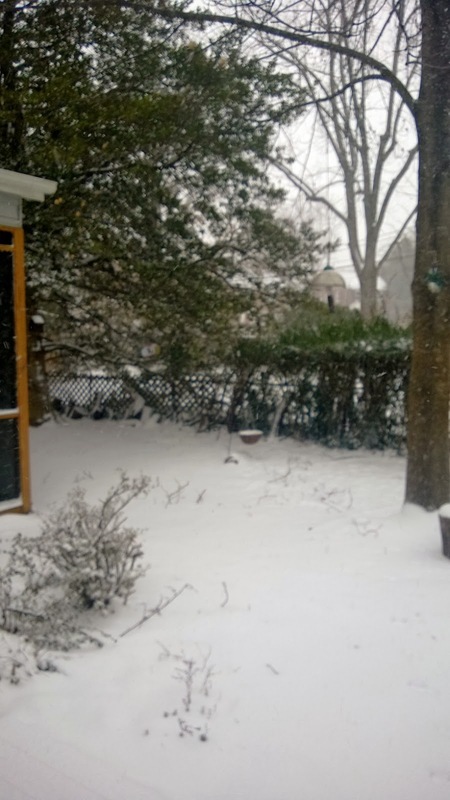 And speaking of blizzards, we're in the midst of one right now. This is our backyard while I'm writing. Pretty! And here it is on the dining table, in CA. They sent this great photo of the table set with some of their Alaska art + the items I made. I thought you'd like to see how they worked out! 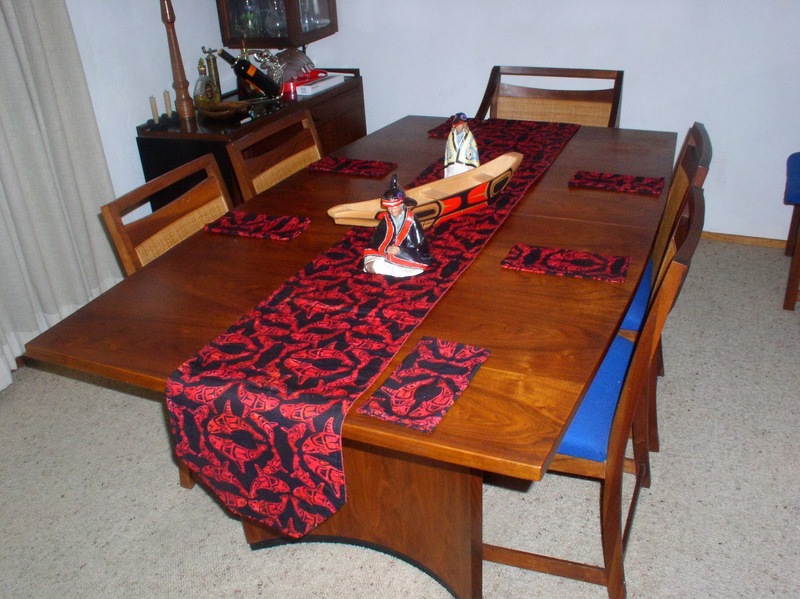 I think they look great on the teak dining table. 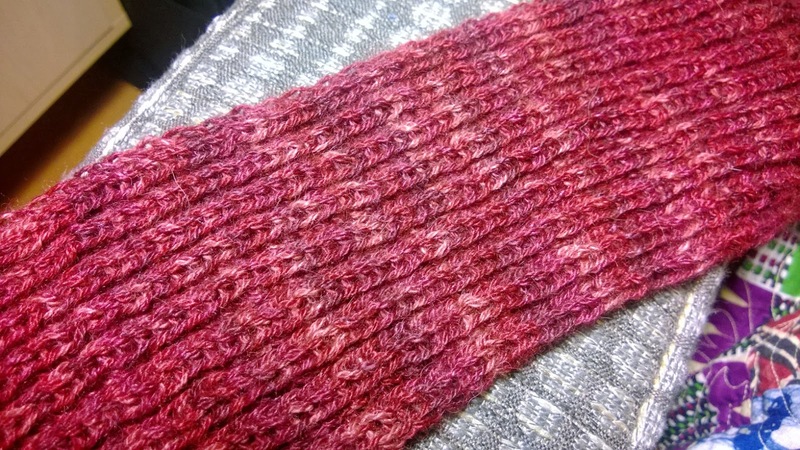 This lovely scarf was made with Shimmer, which Knit Picks doesn't have any more. The next best is Diadem, which is the same silk/baby alpaca fiber mix. The resulting textile is amazing; totally non-itchy and it reflects light a bit, too. It's a joy to work with. I tripled the yarn and used size 9US needles. I love the slight color change! This is a really simple pattern, just a K1 P1 rib. I think it came out quite pretty. The fact that it's all ribbing means it's stretchy & a little thicker, too. Perfect for a scarf. I like the pattern & the yarn so much I'm making myself one, too; this time with a K2 P2 rib. I'm only doubling the yarn and using US10 needles for a little different look. Also quite pretty, if I do say so myself. I'm about halfway through it now. We are having a nice long winter here in DC, so I may get some use out of this scarf this year, rather than having to wait until next winter. From the Collection: Falda de Guatemala, and Vintage Pattern Pledge!! I've mentioned this lovely woven skirt from Guatemala before, but it's been taken from storage and is now adorning our bedroom. It's huge: sewn into a loop about 10' long, 36" wide. Women step into it, then use a belt to tie it tightly. 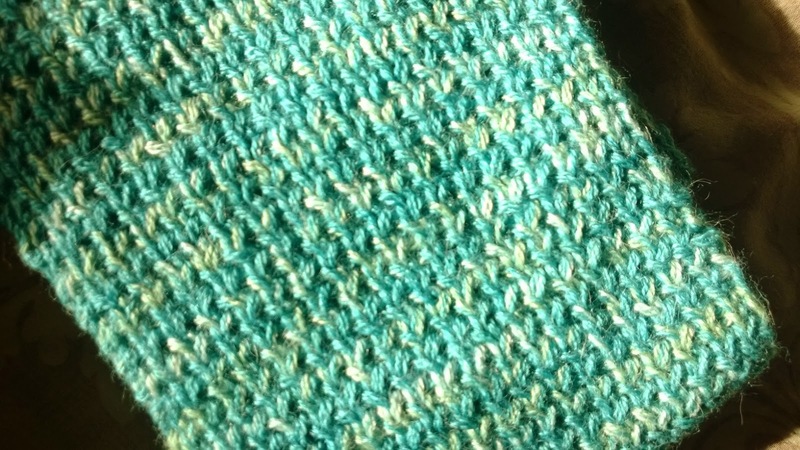 The warp threads are really just that--about the width of sewing threads. Which is one reason it's so detailed, but I cannot imagine how long it must have taken to finish it! Here's a nice photo of women in similar skirts. And one last photo. One of the reasons the Roommate & I collect textiles is the loving care that goes into them. This skirt not only displays the intricate weaving process, it also has a lovely velvet border added along part--probably the front, to make it a bit dressier. 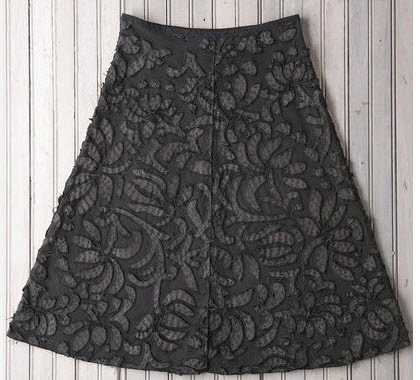 I love the idea of a woman, somewhere, deciding to make her skirt just a little bit prettier! You go, chica! 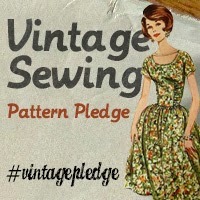 Also, I'm joining the Vintage Pattern Pledge, started by A Sewing Odyssey, over at her blog. 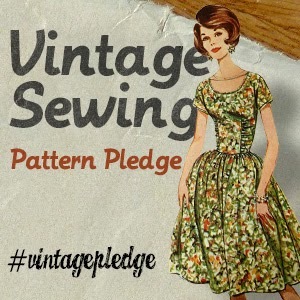 You just have to look through all your amazing vintage patterns, then choose 5 that you pledge to make in 2014. Fun, huh? I will be curious to see what everyone else comes up with. And am already wondering if some of the vintage-inspired patterns, and vintage reprints count?! My first up vintage will definitely be Simplicity 6693 (1974), which I've already started on. The Roomate has two so far, but I've already started on one for a friend! Some Sewing Links to Soothe Your Soul--Or Empty Your Wallet! While in NYC a few weeks ago, sewing came up more than once and I thought I'd share a few cool things I've recently discovered that I know the sewiverse could take an interest in. First, City Quilter. So much fun! 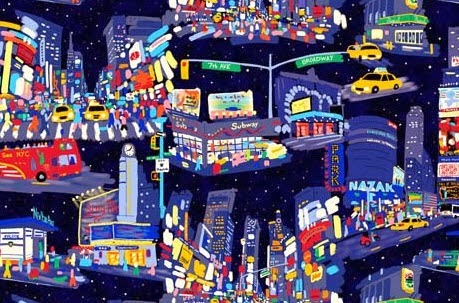 Great selection of fabric (lots of Japanese stuff), plus some of their own designs in the City Collection, which are NYC-themed fabrics (for example, Times Square, above). Cool! Have you ever wanted a DIY couture sewing kit? Have you dreamed of learning some crazy-amazing techniques? Have you heard of Alabama Chanin? Order a kit and get the fabric, notions & instructions. Each pattern comes in multiple fabric & thread color choices...hundreds of options! Anna's Garden skirt, below, is one of my favorites. 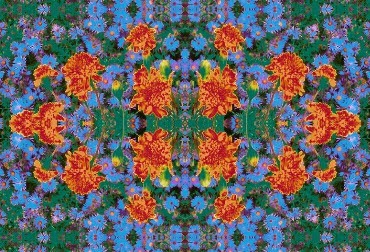 It's a photo of asters & marigolds which I played with a bit in Photoshop (obviously!). 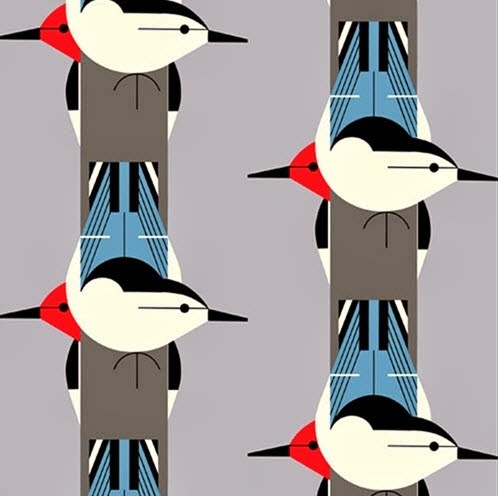 Spoonflower was having a giveaway today, so I ordered this print on a fat quarter of faille for free...just to try it out. And here's a list of shops that stock Birch Fabric (around the world). But I was thinking, "Hmmm, if I buy that it will get dirty so quickly once it's a backpack." So I googled "plasticize fabric" and found that there is such a thing as iron-on laminate! My life is full. Even better, from the same website, a "how to" regarding sewing with laminated fabrics! And a new (to me) vintage pattern shop: So Vintage. Fun, but dangerous for my retirement fund! So now you know where my brain is and how I'll be spending my recent federal government 1% raise! Let me know if you try any of these things out; I'd love to hear what you think.